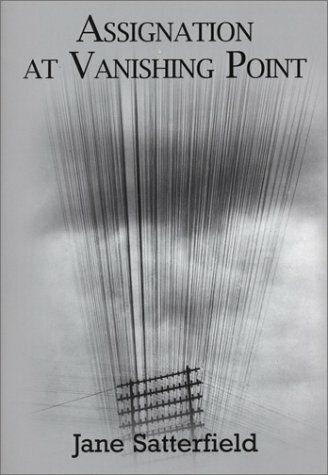 Assignation at Vanishing Point by Jane Satterfield is one of the winners of the Elixir Press Third Annual Poetry Awards. This is her second book of poetry. Her work has appeared in such publications as The Antioch Review, Indiana Review, and Quarterly West. "Jane Satterfield's poems are fierce in their intelligence, capacious in their ardor, tuned to the mutable dictions and sedimented histories--the gorgeous, harrowing embeddedness of life on Earth. The vanishing point? Perspective requires it. This beautiful book redeems it." —Linda Gregerson. Born in England and educated in the U.S., Jane Satterfield received an MFA from the University of Iowa. Her first poetry collection, Shepherdess with an Automatic received the Towson University Prize for Literature; her second, Assignation at Vanishing Point, received the Elixir Press Poetry Prize. She has received three Individual Artist Awards in poetry from the Maryland State Arts Council and is also the recipient of fellowships from the Virginia Center for the Creative Arts, the Sewanee Writers Conference, and the Wesleyan Writers Conference. Her nonfiction has received the Heekin Foundation's Cuchulain Prize for Rhetoric in the Essay, the John Guyon Literary Nonfiction Award, and the Florida Review Editors' Prize in Nonfiction. She teaches at Loyola College in Maryland.